Nations Press feature news LOOK: PNP CHIEF "BATO"THROWBACK PHOTO CIRCULATES ONLINE! 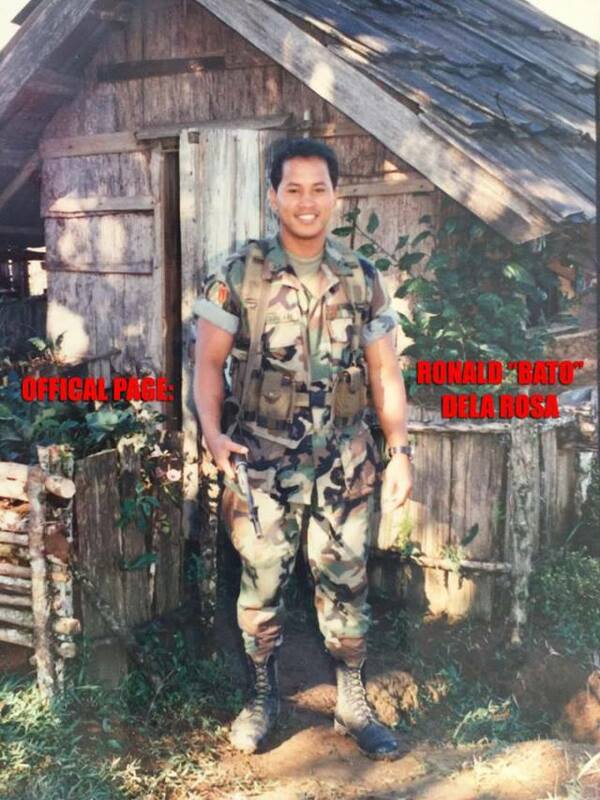 LOOK: PNP CHIEF "BATO"THROWBACK PHOTO CIRCULATES ONLINE! Few weeks of being appointed as PNP Chief, General Ronald Dela Rosa, or Popularly know as Bato amazed the citizen of how he handle and implement the one major problem of the administration against Illegal drugs. thousands of Pushers and users were reportedly voluntarily surrender in different Cities and Municipalities . People adore him the way he uses his power. Chief Bato can be easily recognize as bald Guy with a nice face,but recently one of the pages posts photo of Chief Bato before he went bald. The photo immediately went wild online having 31 thousand likes and 11 thousand shares.Many people commented that the general was really good looking before. He was even placed side by side to different personalities like Dwayne Johnson famously known as “The Rock”. How about you, what do you think about his picture?